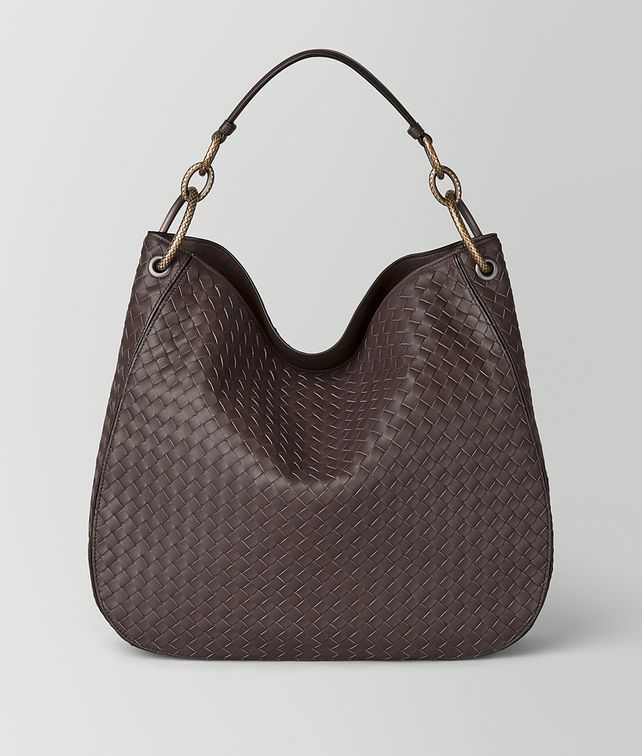 A refined everyday essential, this spacious tote is crafted in nappa intrecciato. The handle is detailed with oversized metal loops in an elegant dark-gold finish. Finished with two ample pockets and a zipped compartment. Width: 39 cm | 15.3"